The Gray Report: Is pairing wine with each course necessary? 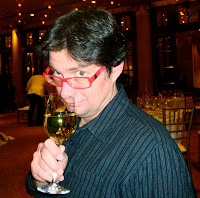 Yesterday one of America's leading chef/sommelier combos made a shocking admission. With 3 Michelin stars, The Restaurant at Meadowood is one of the most acclaimed dining spots in America. A major reason is its creative food-and-wine pairings. Chef Christopher Kostow and sommelier Rom Toulon are great together. Kostow creates wild dishes like "Veal Breast and Hamachi with Caviar, Puntarella and Tendon Suc." Toulon sorts through small-production wines of Napa Valley and the rest of the world to try to match each course. A tasting menu costs $195; the wine pairing -- a different wine with each course -- costs $145. Yet when Kostow and Toulon eat out at restaurants, they never order the wine pairing. Both of them said that: Not occasionally, but never -- not even when they go out for a long multi-course meal like the kind their own restaurant serves. "It's more interesting to have one bottle of wine with the whole meal," Kostow said. I appreciate their honesty, but it raises a question about the whole idea of pairing a wine with each course of the meal. Don't misunderstand -- I love drinking multiple wines with a meal. If this post is incoherent, it's because I just got back from dining at Oenotri in Napa with four friends. They brought four bottles of wine and we ordered two -- six bottles for five people. That's a lot of glassware. However, while we started drinking the wines in stages -- whites first, then no-oak reds, finally the trophies -- we never stopped drinking any of the wines. To the very last bite, I was going back to the Italian white and the 2007 Forlorn Hope Napa Valley Semillon when I didn't feel like having another sip of my favorite wine of the night, 1990 Caymus Cabernet (thanks to David White of the Terroirist blog for bringing it). Yet this isn't the way wine pairing works in most fine restaurants. Each course arrives with a glass chosen specifically for it, with the implication that you must move on from the previous wine. Once you move up to the Caymus, you're not supposed to go back. Is that what we should be doing? In fact, there are few perfect pairings, says Traci Dutton, head sommelier for the restaurant at the Culinary Institute of America at Greystone. Dutton said she has a wine/food pairing that changes her life maybe once a year, and a memorable pairing perhaps once a month. And beyond that, she's just looking for wine and food that don't conflict; she doesn't want the wine or the food to overwhelm the other. Wow. Here's a somm who has the opportunity to work with great food and some of the best wines in California. She didn't go as far as Kostow and Toulon did in eschewing specific pairings, but if she's not expecting magic everyday, then I don't know why some food magazines insist on telling us we should; i.e., "this roast chicken with wild mushroom sauce is perfect with the Chateau Unobtanium 'Le Mystere' Aloxe-Corton 2006, which is leaner than the rich '05." Granted, there's a time for wine pairing menus: When two people go out for a five-course meal. I'd rather drink 5 wines than one, and I'm willing to defer to the sommelier to get variety. But when you have a group of four, instead of ordering the wine-pairing, consider doing what the sommeliers do. If the pros aren't ordering wine-pairing menus, perhaps we shouldn't either. Winemaker Matthew Rorick believes this wine is best with some age on it, so he's purposely holding back each vintage. You can tell from the nose; when the bottle opens, it's steely with some crusty bread and kumquat, but after 10 minutes in the glass it develops aged-white aromas like clay and earth. The palate has nice orange blossom and kumquat notes. Duckhorn buys some of this fruit to blend into its excellent Napa Valley Sauvignon Blanc. Here's a chance to try it on its own. Only 43 cases made, and it's just 11% alcohol. This recalls a lunch consummed years ago at Baywolf in Oakland with my celler crew at Acacia so it was pre '97. We brought magnums only - a lot of older Chardonnays and Pinots. We drank the Chards with pleasure and moved on to the Pinots as the long meal evolved. While eating a cold beef salad midway through we revisited the Chardonnay - what a revelation! Chardonnay was the far superior match to cold beef than Pinot. That lunch has continued to inform my thinking not just about what with what but also when within the meal. Interesting post. Thanks! I agree that, although it may seem to some to be over the top, a pairing per course can make all the difference. Btw, have you guys heard of lovethis? I've started using it to get wine recommendations, pretty useful. Check out my tasting notes and I'd be interested to connect with you guys to find some interesting labels and new producers. Here's a link to my profile: http://ow.ly/42A6l. Keep up the great blog, how do I subscribe?